The game has nine panels, each revealing an icon and your job is to get three of them on any one card. 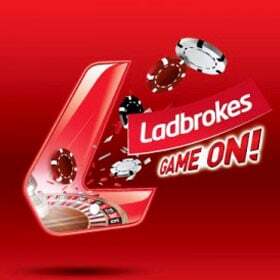 There are seven prizes which are indicated at the side and start with x1 your stake, going up to x10,000. 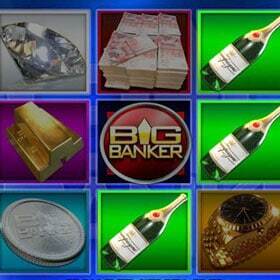 If you've ever sat back and day dreamed about being uber wealthy then the Big Banker online scratch card is just for you. Featuring all of the icons we associate with the incredibly rich e.g. diamonds, gold bars, champagne, gold rings and vaults, this game taps into the fantasy while having a 10,000x your stake jackpot up for grabs. The added bonus with this scratch card is the Big Banker Feature. Reveal three banker symbols and you get to play the bonus game. It sounds a bit tricky but the idea is that you are awarded up to 8 reveals and 3 banks at the beginning. You are then presented with 24 possible reveals and as you scratch them off you can either ‘bank' what you've been awarded or decline and continue. The game ends when you've maxed out your reveals and whatever you've banked through the bonus round you keep. There is a minimum stake of £1 to play this game, which means you will win big if you reveal the big prize of Three Gold Safes. 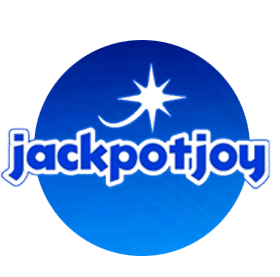 This Jackpot is a whopping x10,000 your initial bet and leaves you with a big pile of cash to put into your own bank. 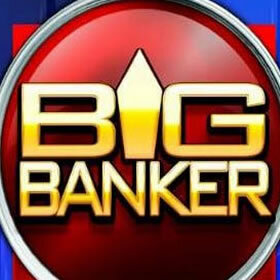 You will never have as much fun Banking as this, Big Banker is a simple game but is great for those high rollers who are looking to win big on a Scratch Card.